Cool Christmas Gift Ideas For Those You Struggle to Buy For! How are you getting on with your Christmas shopping? Have you already got everything bought and wrapped, or are you a last minute shopper? I've been really good this year, I've already got most of my shopping done so fully intend on spending the festive season relaxing and having fun, without having to stress over presents. Because in all honesty, buying presents can be stressful. When you reach the age where you get more joy in giving gifts that receiving them, you want to get it right- but some people are just so difficult. If you've got a person (or a few) like this on your list to buy for, here are a few cool ideas to consider. There are experience days for just about everything these days. From muscle car experiences to hot air balloon rides, helicopter trips and much more. There's something for all ages and preferences, take a look through a site offering a range of experience days and see if there's something that suits the person you're buying for. Sometimes, a physical gift just isn't right, maybe the person already seems to own everything or maybe they're just not very material. In these cases, an experience could be a nice way to treat them without giving them an item that they don't want or need. Is the person you're gifting to a bit of a foodie? Or maybe you're buying for a couple that doesn't get to go out as often as they'd like, it could be your parents, grandparents or perhaps a couple you know who have recently had a baby? Most chains have gift cards for sale, so go with one you think they'll enjoy (or know is a favourite of theirs) and top up the card to pay for a meal out for them. Another option would be to buy a voucher for afternoon tea at a nice location. Again, it's great for a couple but would go down especially well with most female loved ones, who can use it as a way to have a girly catchup with a friend of their choice. Cake makes a great gift, let's be honest- everyone loves it! If you have a loved one who's a cake lover then this would be ideal, but it would also be a good choice when you're buying a gift for someone where you don't know exactly what their preferences are. Because everyone wants and likes a good cake! This bakery delivery in London is one example of a company who can deliver cake right to your door, so you don't even need to live nearby to be able to deliver cake in person. Although if you do live nearby and are a whizz in the kitchen, you could always make a showstopper cake for them or a basket of pretty Christmas cupcakes! A subscription is a gift that keeps on giving. If you buy an annual subscription they'll get a magazine every week, month or quarter for the entire year so it's not something that will just be forgotten about come February. If there's a particular interest they have, or a magazine that they already love then you could purchase it for them. If you wanted to go a step further, you could purchase a Kindle or tablet for them to read the digital version of the magazine on. Most popular mags are in the Kindle library so it can be delivered right to their device every time there's a new issue released. Is the person you're buying for charitable, or do they appreciate helping others? There are lots of great charity gifts out there, animal adoptions or the sponsor of a child are both rewarding. 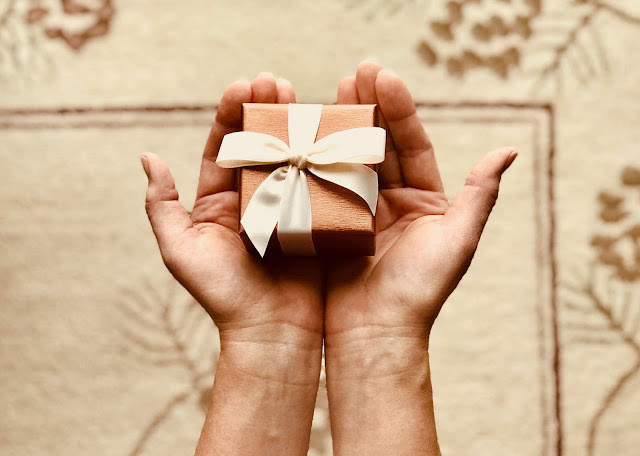 The gift recipient will get updates on the person, animals or organisation that you've donated to so they can see how the money donated in their name has been used. Check out a number of different charities and go with one that you think they would appreciate most. It could be anything from sponsoring a guide dog to a wild animal at a conservation project. In the case of children this can go towards education and healthcare such as vaccines. It's a gift that genuinely does good. Are you buying for any difficult recipients this year? What are you planning on getting for them?